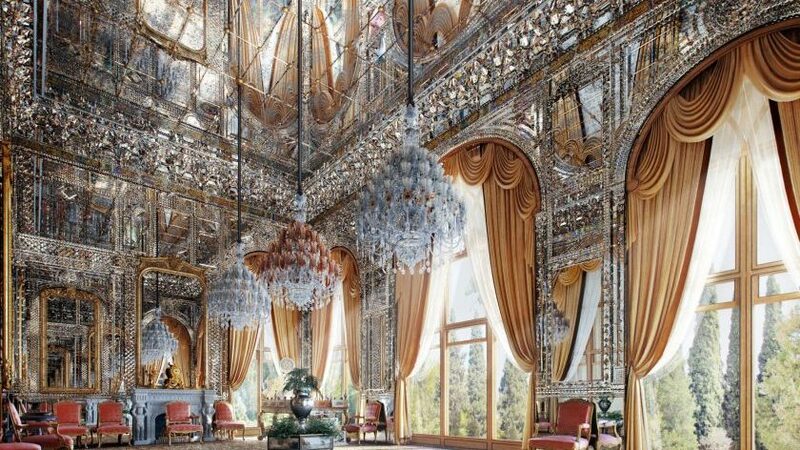 The name “Iran” is likely to conjure up images of ancient historical ruins, magnificent grand mosques, and awe-inspiring architecture. But few would associate islands or beaches with this destination when, in fact, it has some of the most breathtaking, pristine, and secluded shores along its southern coast. 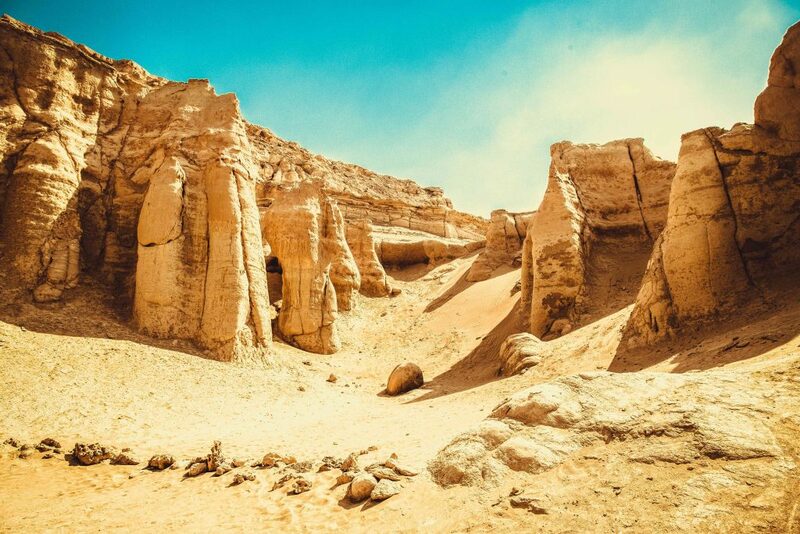 Dolphin-shaped Qeshm, the largest of the Persian Gulf islands, has rightfully earned the nickname “the island of seven wonders” as it contains a world of natural marvels. Just northeast lies the pint-sized Hormuz, which packs quite a punch in and of itself. 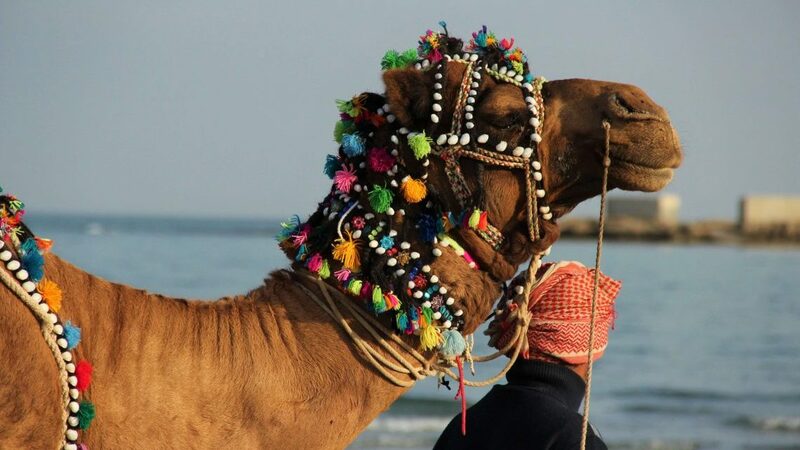 Get off the beaten path and discover Iran as you’ve never seen it with these 10 things you must see and do in Qeshm and Hormuz. Valley of the Stars gets its name from a local legend which says that a meteor struck the area, thereby forming the otherworldly rocky shapes. In fact, this marl and sandstone masterpiece is the result of years of wind and rain erosion that have carved out tall pillars, hollowed-out spaces, deep-cut canyons, and layered mountain rock riddled with seashells. 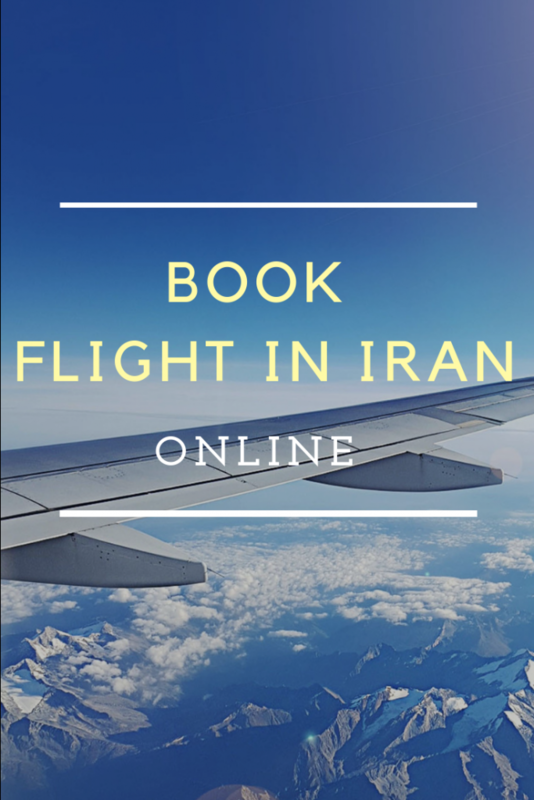 With a little imagination, you can make out the shapes of hands, different animals, and even a map of Iran! 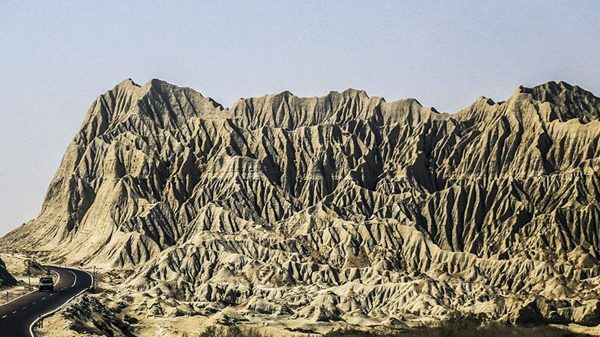 Because locals believe that jinn roams throughout this valley, they avoid it after sunset, but that shouldn’t spook you from visiting this marvelous geological phenomenon. 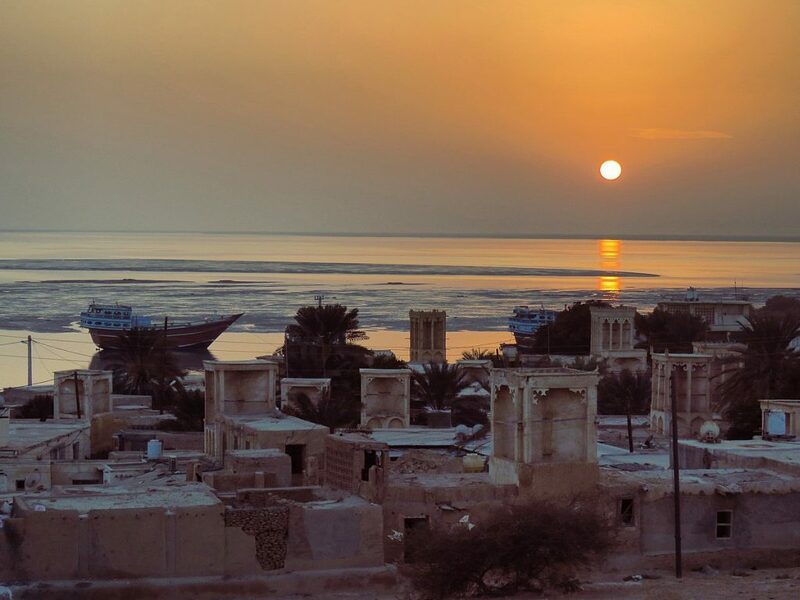 Hengam Island lies to the south of Qeshm and is the premier spot to head out to early in the morning to catch sightings of pods of dolphins who come out to play. While on the boat, you’ll pause to view schools of tropical fish, stingrays, and other marine life in the clear blue waters of the Persian Gulf and perhaps spot the gazelles that inhabit the island. 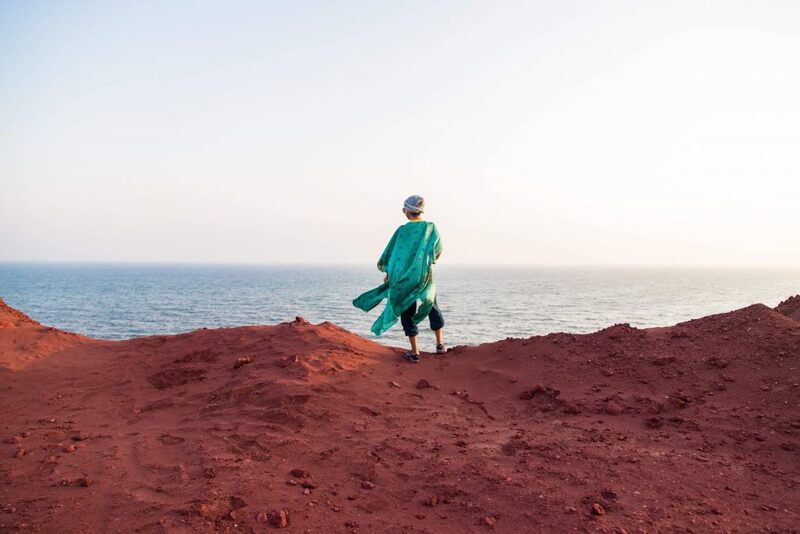 Once on the shore, you’ll be greeted by local women dressed in their traditional, colorful costumes. Carpeted in shimmering sand and sprinkled with funky rock formations, you’ll want to explore a good chunk of this island on foot. 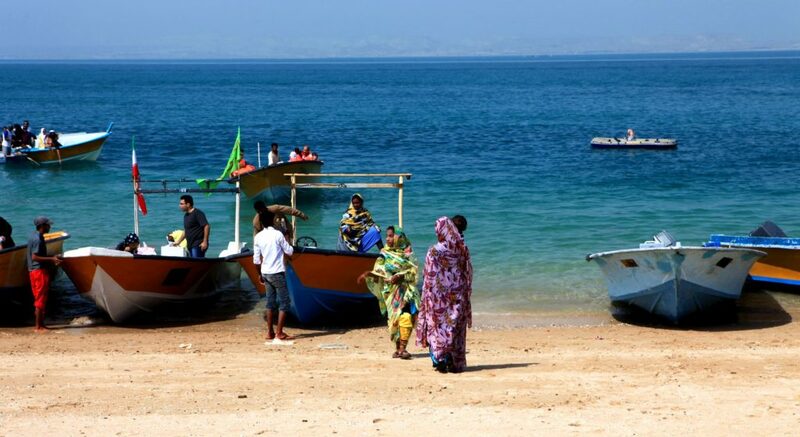 Naz is a compact rocky island situated just south of the southern coast of Qeshm. The main attraction and mystery of this island lie in the unpredictable high and low tides. At low tide, the stretch between Qeshm and Naz dries out to become a popular racing track for cars and trucks. You can even casually walk across to the island yourself. However, once the tide rolls in, you’d better be sure you’re back on the Qeshm side lest you get stranded out on Naz for the foreseeable hours to come. This is an opportune time to wade along the sandy shore. 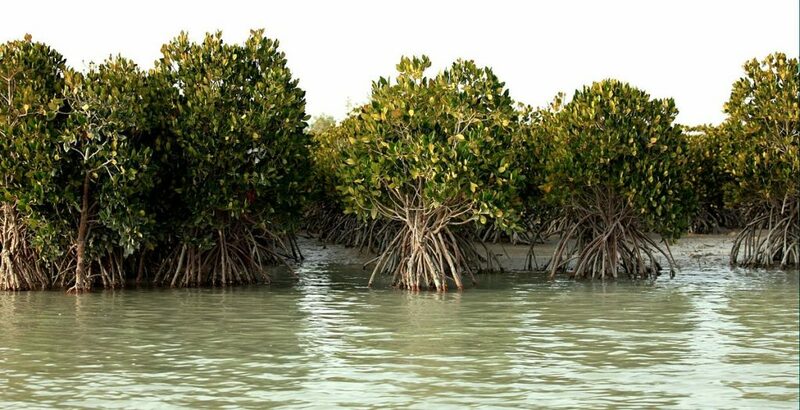 This 8,00-hectare biosphere reserve of mangroves, or hara as they are known in Persian, is located just behind the northern “fin” of Qeshm. Like Naz Island, this forest also has a high and low tide, with the mangroves, roots, and sludgy beds surfacing during low tide and all but disappearing during high tide. Although steeped in salt water, the tree bark has a filtration system that extracts the salt and allows sweet water to reach the leaves. As you boat through, you’ll spot local fisherman at work and catch frequent sightings of herons, cranes, crabs, and pelicans, among other marine life that call this forest home. 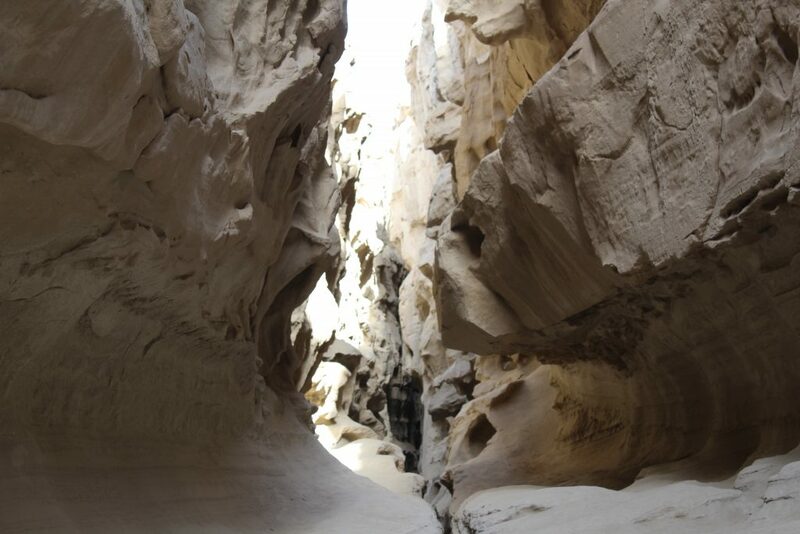 Just north of Hara Forest right on the “fin” of Qeshm lies the historical port town of Laft. You may be familiar with badgir (windcatchers) most commonly seen in desert cities like Yazd, but this ancient natural ventilation system is much more abundant in Bandar Laft, dotting the picturesque skyline to make for a spectacular view. Aside from meandering through the historical quarter of the town, Talla Wells, which were created by cutting holes into layers of stone and used to store water, are well worth a visit. Though one existed for every day of the year in the past, each one with a unique name, today, fewer than 100 remains. Locals still use the few abanbar (ancient water reservoirs) throughout this sleepy fishing town. You won’t want to miss the port town of Gouran, home to the construction of wooden cargo and fishing vessels, known locally as lenj, and the last place that continues this ancient tradition. In fact, this art form has been inscribed with UNESCO as an Intangible Cultural Heritage. While other dockyards around the island mainly focus on repairing older lenj, the practice of crafting them by hand, one plank at a time remains very much alive in Gouran. A stroll through the shipyard may transport you back to Biblical times as these fishing vessels, reminiscent of Noah’s Ark, are in various stages of completion from being constructed to being painted to setting out on their maiden voyage. 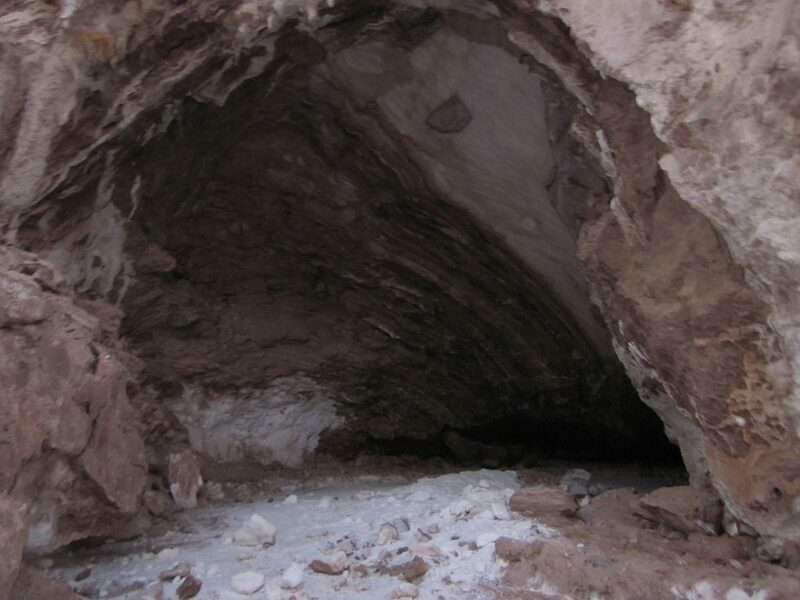 Situated on the southwestern part of Qeshm, Namakdan, literally “salt shaker” in Persian, is said to be one of the longest caves in the world. At over 6 km in length (of which about less than a third is accessible to visitors), this well-preserved salt cave is the result of seawater accumulating in the faults which have led to an abundance of salt crystal formations. Those who can brave the narrow corridors and low ceilings will be rewarded with impressive salty stalactites and stalagmites and stunning salty white chandeliers in the dome. Literally “mountain of wells,” Chahkooh gets its name thanks to the number of wells situated at the beginning of the pass. A shortage of fresh water prompted locals to drill these wells that act as water reservoirs and are still used today. The remainder of this striking yet eerie pass is the result of years of erosion from heavy rainwater, much like Valley of the Stars. Rainbow Valley is arguably the main attraction of Hormuz Island. The various rock and mineral formations make it a wonderland for geological enthusiasts while the range of vibrant colors effortlessly pigmented by mother nature is sure to inspire artists. The red iron oxide-rich soil and rocky mountainous terrain bring to mind images of the Red Planet itself! An afternoon spent atop the towering cliffs offers sweeping views of the Persian Gulf and a choice site to gaze at the sunset. 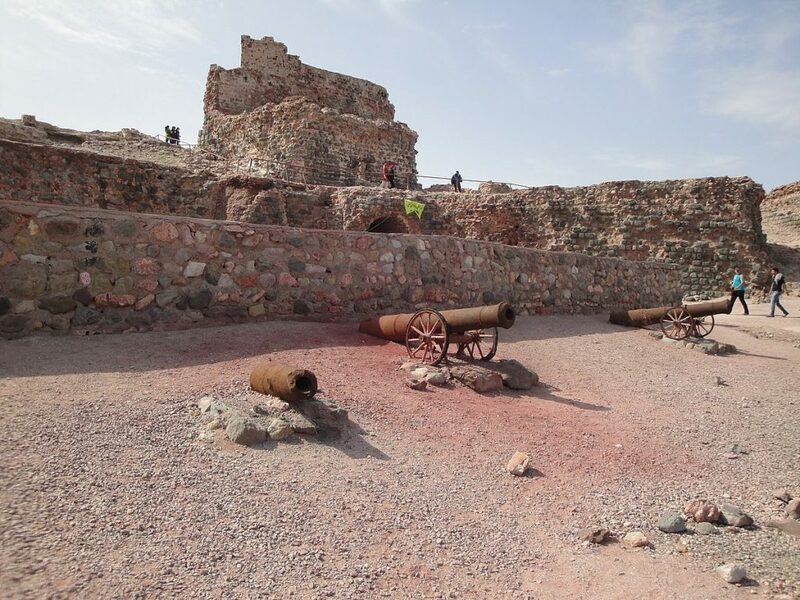 The Portuguese Fortress is located on the northern tip of Hormuz Island. 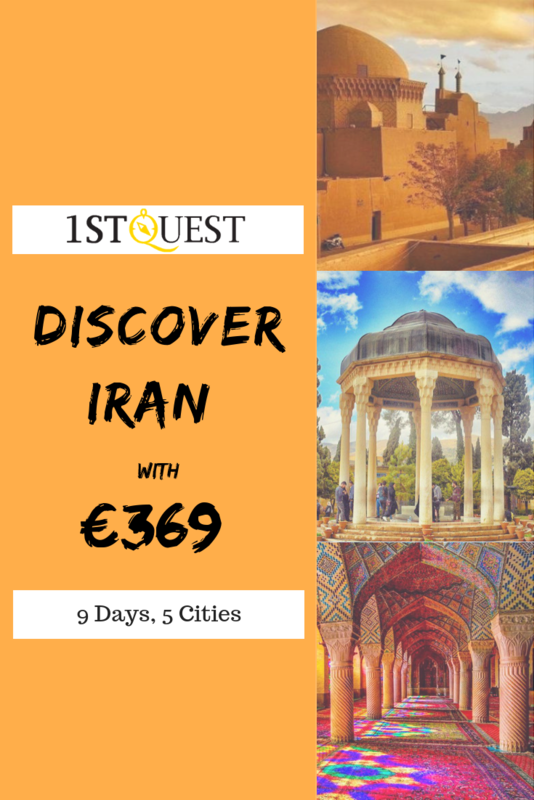 As the name suggests, it was built by the Portuguese in the 16th century as part of a strategic effort to maintain control over the Strait of Hormuz when Qeshm was seized. Originally named the “Fort of Our Lady of Conception”, this red stone fortress was used for over a century and was separated from the rest of the island by a moat. As one of the last remaining structures from the time of the Portuguese colonization of the Persian Gulf, today, four watchtowers, a number of cannons, and two underground cisterns survive. 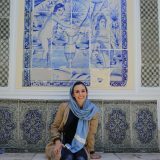 Born and raised in the US, Pontia lived in four countries before moving to Tehran, where she has been living for 4.5 years. She's passionate about languages, culture, and travel. Determined to dispel any misconceptions about her adopted home, she regularly blogs about life as an expat in Iran and Persian culture/language on her personal blog MyPersianCorner.com. When she isn't writing, she's either teaching languages (or picking up a new one herself) or traveling.